So, I decided to re-read Ready Player One this week in anticipation of going to see the film this afternoon with my pops. I read this one about three (3) years ago at the behest of several friends as they consistently told me that, as a gamer, this is a MUST READ. After my first read through, I certainly agreed that this book is for gamers, especially ones who lived through the 80s and love nostalgia. Having been a 90s kid, quite a few of the references should be over my head; but considering my dad is the one who introduced me to gaming, I have a decent bit of knowledge of the lore before my time. Many of you have probably at least seen the trailer for the movie and understand that it is basically a kid inside of a video game, things blow up, and there are enough 80s pop culture references to fill 8,583 DeLorean DMC-12s. But the novel is more than that. Wade Owen Watts is a normal kid growing up in 2045 Ohio. He goes to school, plays video games, and does other “typical” teenage boy things; the only difference is that most of his time is spent in the virtual world known as the ‘OASIS’. Think of our day’s virtual reality but complete immersion. Upon the death of the OASIS’s creator, Wade devotes his life, like a slew of others, to solving puzzles, finishing quests, and attempting to solve the creator’s ultimate challenge that will lead to a massive fortune and unyielding power. What he doesn’t expect is a massive corporation using any tactics necessary to finish the challenge before anyone else. Wade, along with his fellow group of ‘gunters’, must try to solve all of the puzzles the Creator has laid before them before as quickly as possible, or die trying. What Cline has done here, no other book IMO has done. He has completely captured the childhood of millions. What we all wish for, deep inside, is to go back in time and relive those moments when we were younger. The first time inserting a quarter into the Joust arcade game, hitting the high score in PAC-MAN, rolling down the street and blasting RUSH. Though I wasn’t alive during the peak of any of these, I know exactly how those who lived through it feel. It’s like when I go back and play The Legend of Zelda: Ocarina of Time on my Nintedo 64; I am reminded of how easy and carefree life was when I was younger, and how video games were consistently enjoyable and engaging. While the characters may not be some of the most developed out there, they resemble exactly what I see in my friends list on Xbox Live, or even my best buds from high school. The gamerspeak is there, there are virtual high fives when a quest is completed or a boss is defeated, and the utter frustration when we fail a challenge is evident. 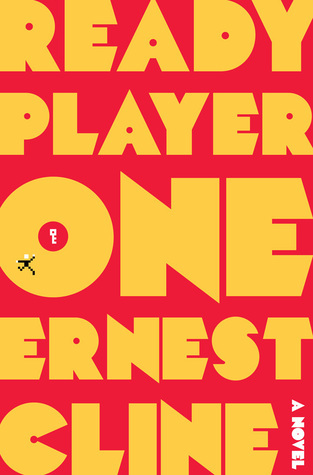 Cline did do a fine job in world-building and Ready Player One definitely laid plans for at least one sequel, though I don’t believe there are plans for one. He did release another nostalgic and geeky novel, Armada, in 2015 but its focus is more on present day rather than the 80s. Overall, if you enjoy video games, or did at one time, I highly suggest/recommend/expect you to pick up Ready Player One and give it a read. Even better than that, if you enjoyed Star Trek: The Next Generation, Wesley Crusher himself (Wil Wheaton) narrates the audiobook. I have yet to find an audiobook that wasn’t made 10x better with Wil’s voice, and I can genuinely hear the enjoyment he gets out of narrating. Love RPO! I am an avid online gamer, so this book is close to my heart. When Wade says some of his closest friends are people he has never met in real life, I can so relate to that with my circle of gaming buds that I’ve been playing with every week for 7+ years. Did you enjoy the movie? You know, I did enjoy it but expected so much more. Didn’t realize how much they would deviate from the book. Absolutely. I also noticed Spielberg referenced a lot of his past work in the movie which I really liked.